When it comes to losing weight, some people take their cues from celebrities rather than medical professionals. This means fad diets, popularised by celebrities, are taken up by average Australians in their quest for rapid weight loss. Do these diets actually have merit? Or do the cons outweigh the pros? And what is the key to keeping the weight off for the long term? According to comparison research website Finder.com.au these are the most popular fad diets in Australia right now. 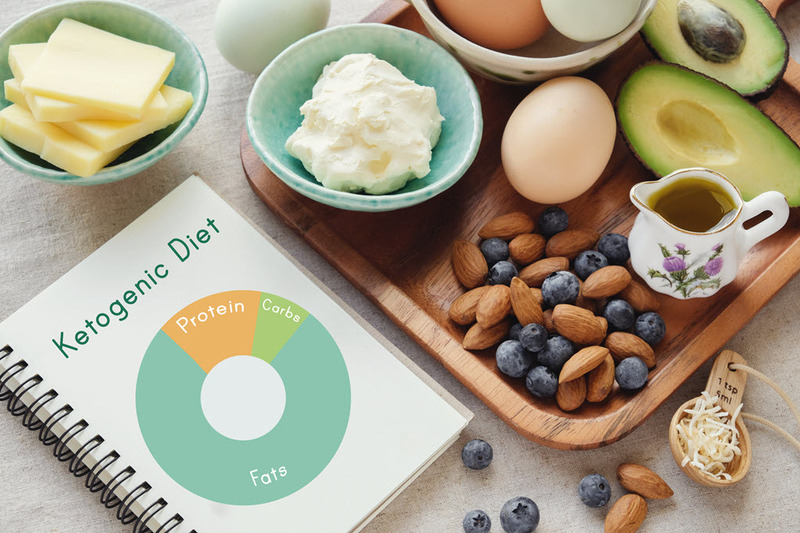 The Atkins diet: This low-carbohydrate diet invented by American physician and cardiologist Robert Atkins allows you to eat as much fat and protein as you want. That means meat is in but bread is out. It includes a commercial range of Atkins food products and remains very popular today after it was first introduced back in 1989. The Dukan diet: Another low carb option invented by French medical doctor and nutritionist Pierre Dukan 30 years ago. It offers the promise of weight loss while eating as much as you want, as long as you stick to strict food groups and ‘phases’ where different food options are permitted and forbidden. You can kiss bread and baked goods goodbye on this diet as well. The lemon detox diet: This was originally known as the Master Cleanse and has been popularised by celebrities like the Kardashians and Australian actress, Tania Zaetta. American naturopath Stanley Burroughs invented the Master Cleanse 60 years ago as a way to dump unwanted kilograms in a rapid timeframe. It cuts out solid food altogether and involves consuming only a drink containing water, lemon juice, cayenne pepper and maple syrup, for 10 days. Ketogenic diet: This is an extremely-low carbohydrate diet that trains the body to burn fat in the absence of carbs. It has been used by doctors to treat epilepsy in children as well. Natural fats, proteins and vegetables that grow above ground are in, while all carbs and starchy foods like potatoes are out. The zone diet: Dr Barry Sears created Zone Labs in 1995 to develop products he had already made famous in his #1 New York Times bestselling book Zone. This diet identifies inflammation as a leading catalyst for chronic illness conditions and Zone Labs products aim to fight inflammation. Paleo diet: Popularised in Australia by My Kitchen Rules star Pete Evans, this diet takes us back to the caveman days and is a stone-age diet made up of what we believe humans ate in the Paleolithic era. It operates on the belief that modern, processed food promotes obesity, heart disease and cancer. You can expect to eat lots of meat, vegetables, nuts and seeds on this diet. Baby food diet: This is literally replacing normal food with baby food. Because the bottles are small, the less you eat, the more you lose. Cabbage soup diet: Another radical rapid weight loss diet in the vein of the lemon detox diet. Your body burns more calories digesting cabbage than is actually in the cabbage, so you can guzzle as much of this soup as you like. Do these fad diets work? Could they be dangerous in the long term? Many – if not all – of these diets will see you lose weight in the short term. But are they sustainable in the long term? Unlikely. There are many controversial elements to these diets as well. The cabbage soup and lemon detox diets are starvation diets and definitely not sustainable for a long period of time. The Atkins and ketogenic diets have been linked to kidney disease and diabetes. Pierre Dukan was sued for fraud and his diet labelled as one of the worst celebrity diets of the year by the the British Dietetic Association. Australian doctors have been embroiled in an ongoing stoush with Evans and the paleo diet, which has been linked to kidney and heart disease and certain cancers because saturated fat and protein are consumed at a much higher rate. The Zone diet attracts the least controversies of these fad diets while eating baby food, well you don’t need a doctor to tell you that is just silly. The bottom line is there is no silver bullet to weight loss and management over a long period of time. These fad diets may give you short term rewards, but the key to sustained weight management is to make your food choices healthy and a lifestyle decision. Medical professionals agree that taking entire food groups out of your diet is not sustainable and can lead to increased health risks. The key is a balanced eating plan that can become part of your lifestyle – something you can stick to for the rest of your life. A good balance of vegetables, legumes, fruits, breads, rice, pasta, cereals, noodles, lean meat, fish, poultry, milk, yoghurts, cheeses and plenty of water will see you on the right path. Limit your saturated and moderated fats, salt and sugars and also reduce your alcohol intake as well. Your GP can assist you in putting together a sustainable diet plan that can set you up for good health permanently. So no more eating baby food, OK?